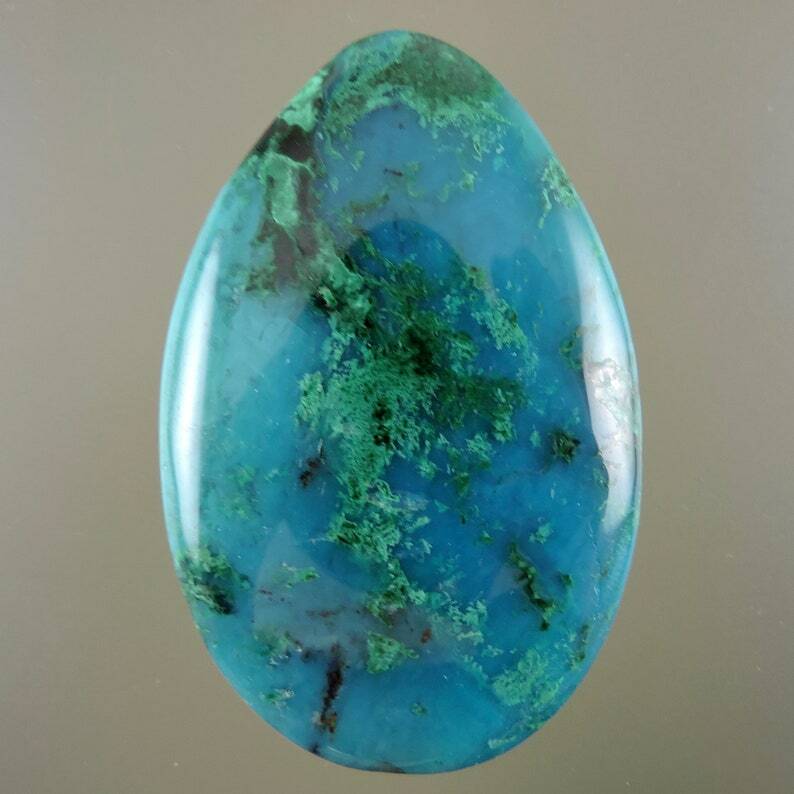 This Vibrant Cabochon has both chatoyant green Malachite and caribbean blue gem Chrysocolla from the Live Oak Pit, Inspiration Mine, Miami Arizona. This material was mined in 1965. The Combination of Blue and Green is stunning. This material is highly prized and sought after around the world for its incredible beauty and color. Chrysocolla is called a "Stone of Harmony" and is said to purify places and remove negative energy.